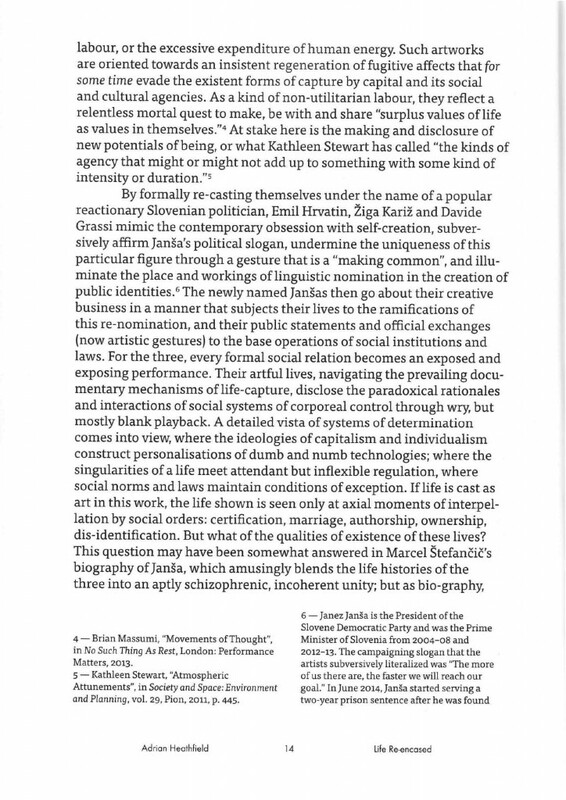 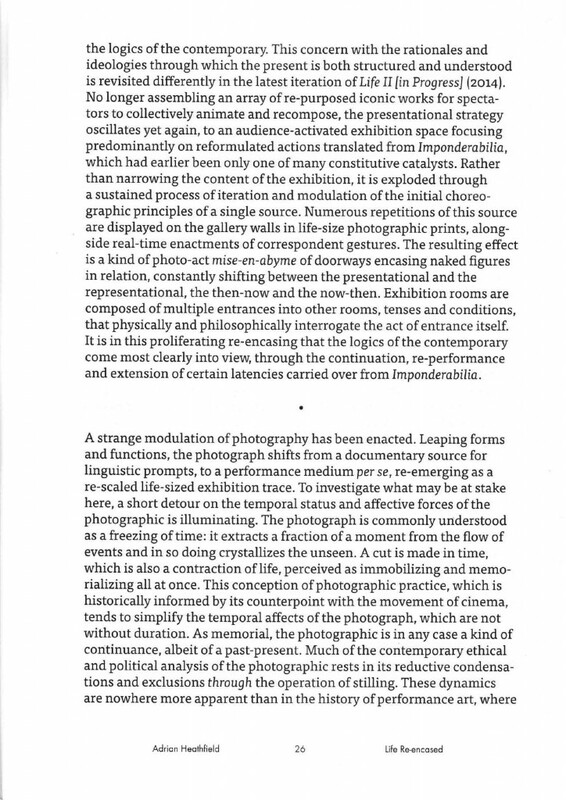 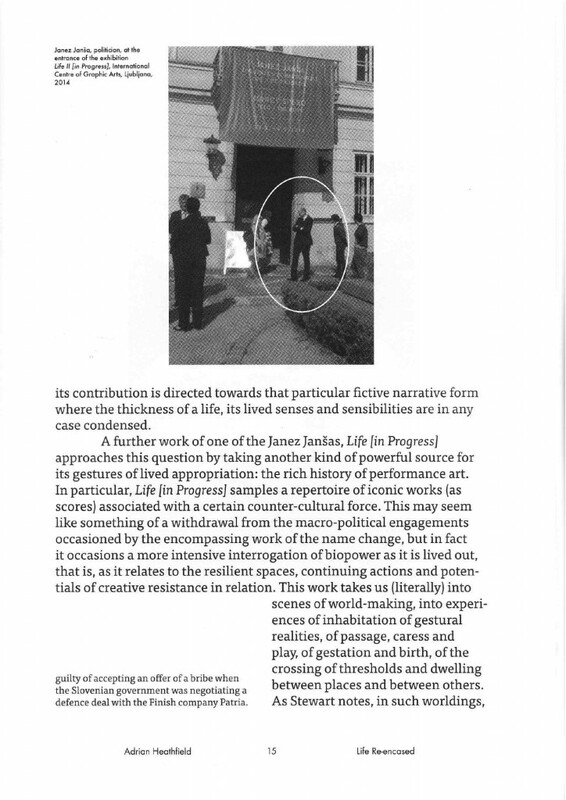 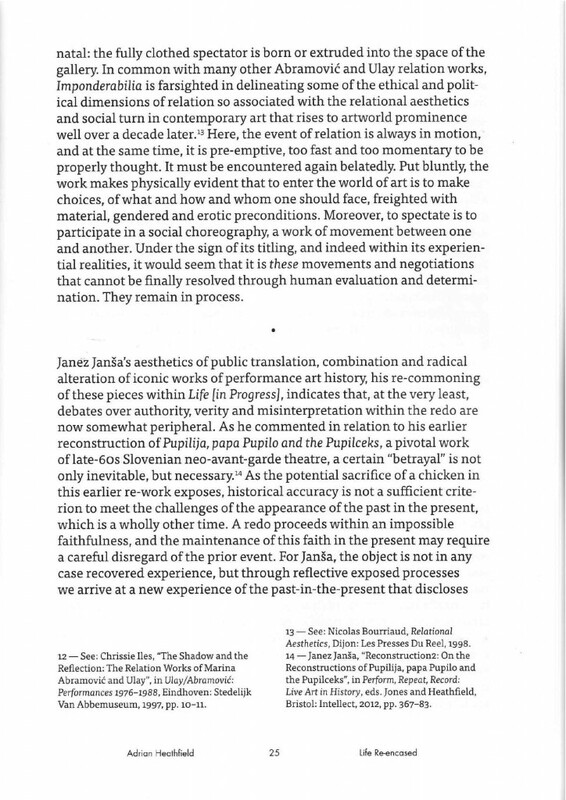 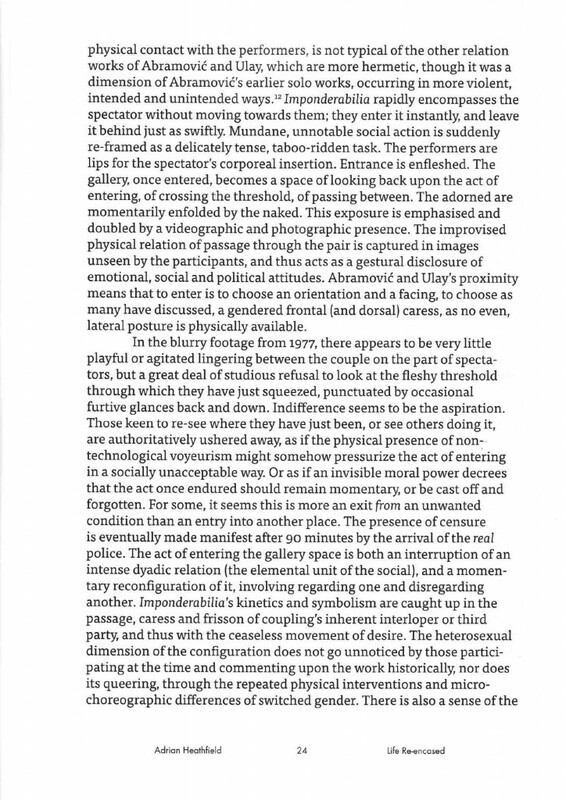 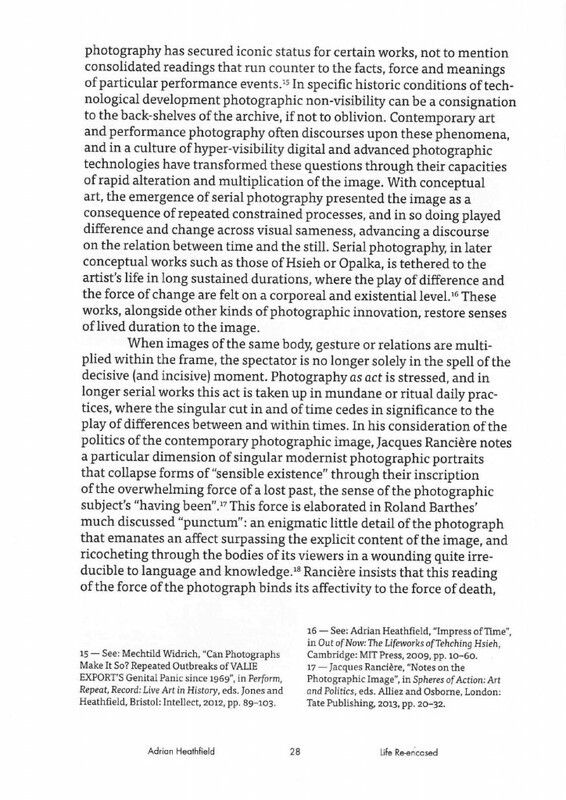 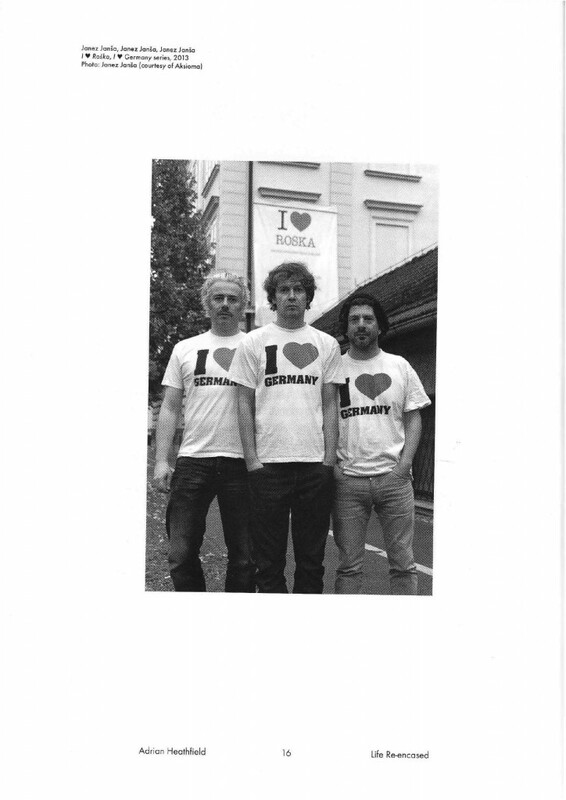 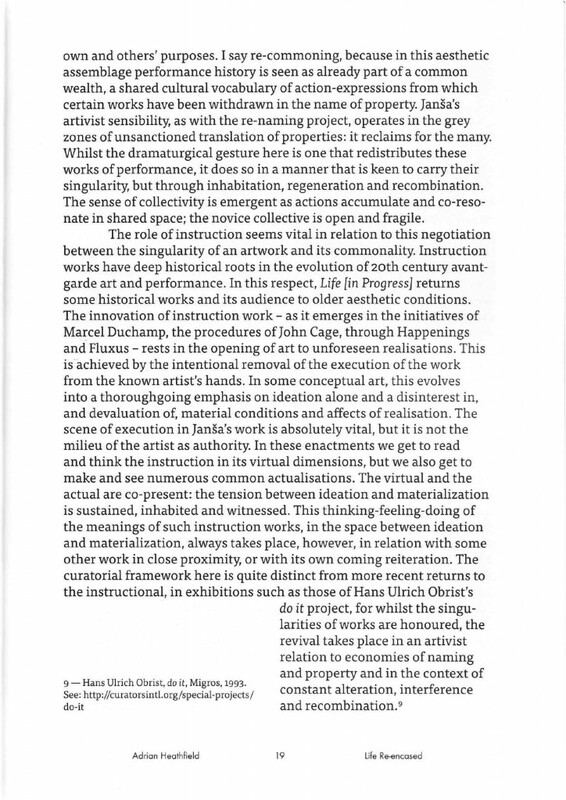 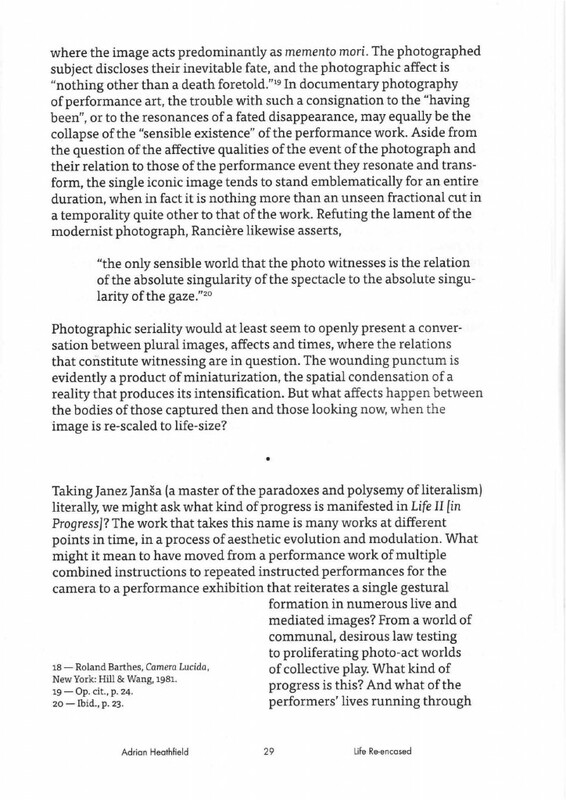 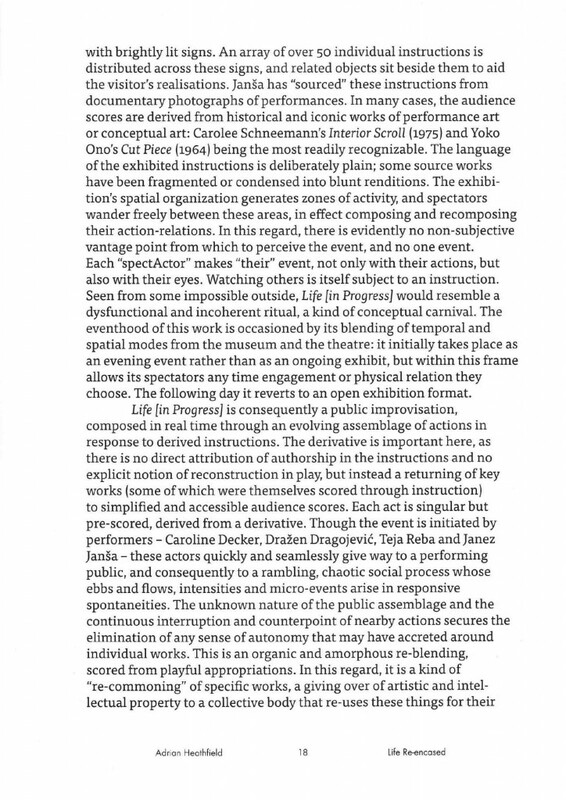 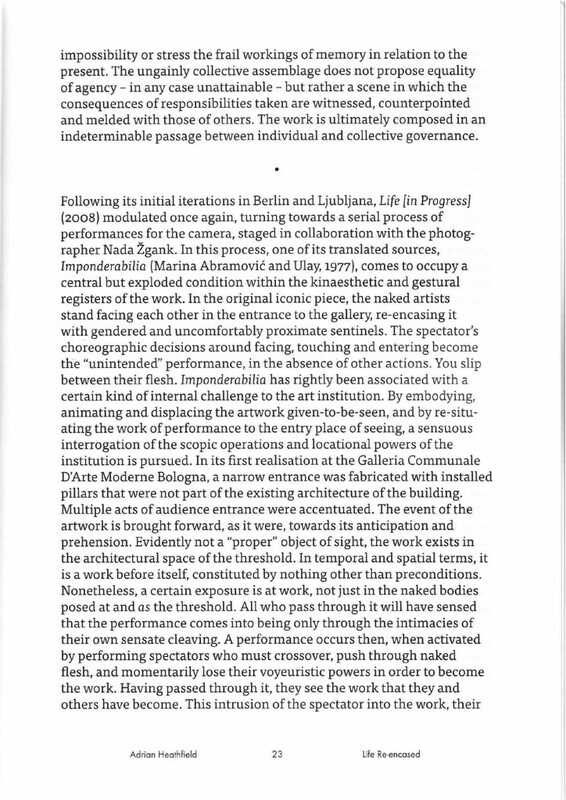 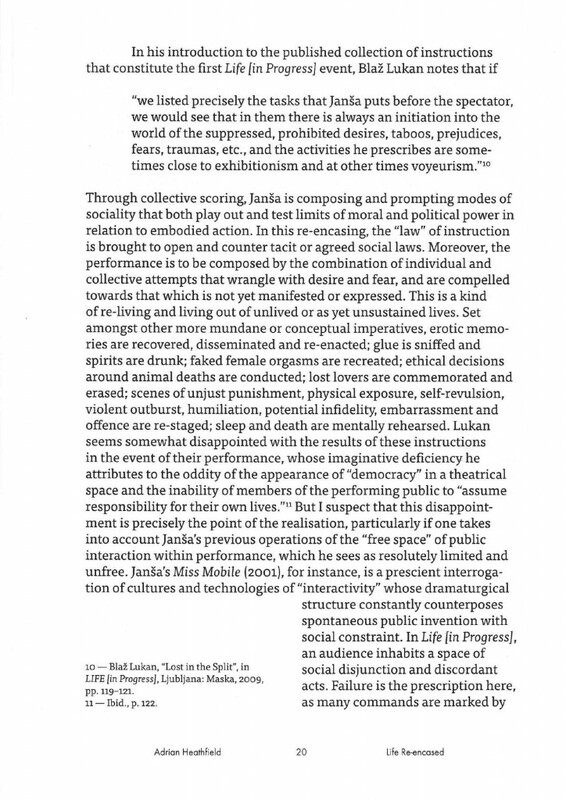 An essay on the works of Janez Janša, performance history and morphology. 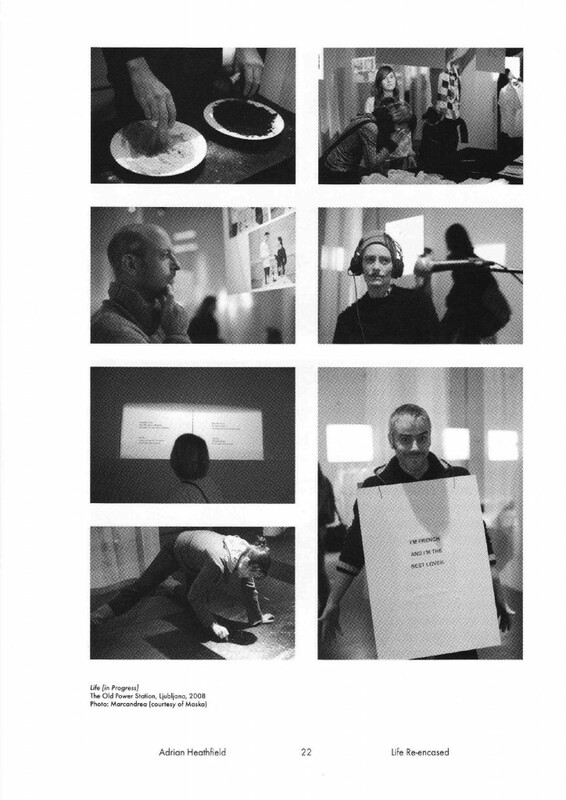 Homepage image: Janez Janša, Kaja, Dragana, Janez, Ava Nuria, Teja, Ana, Olja, Katarina, 2014. 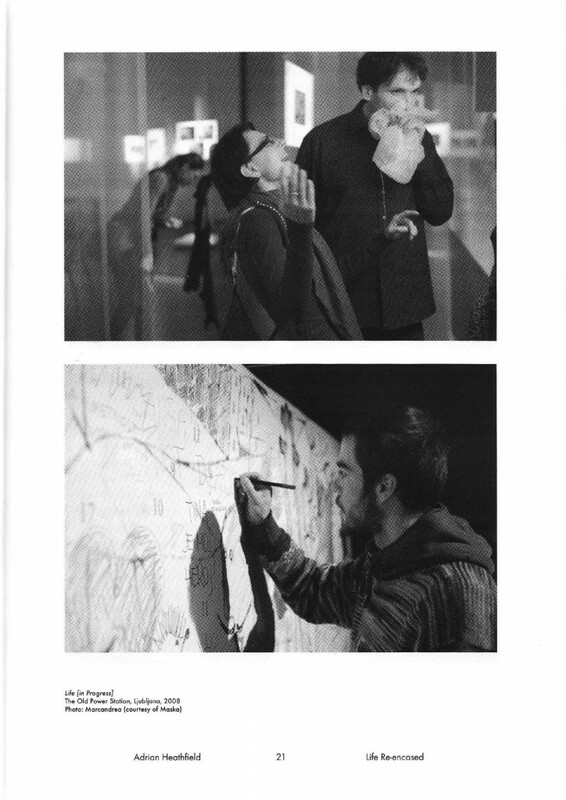 Photo: Nada Žgank. 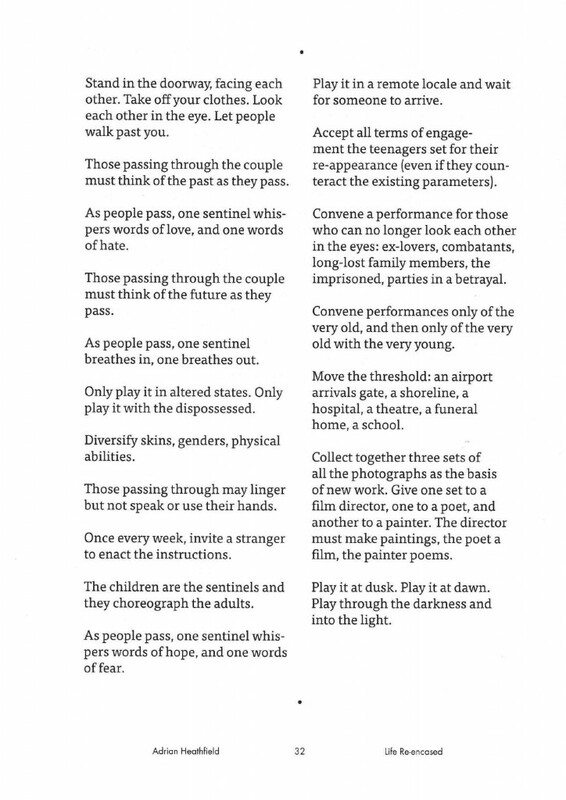 © the artist. 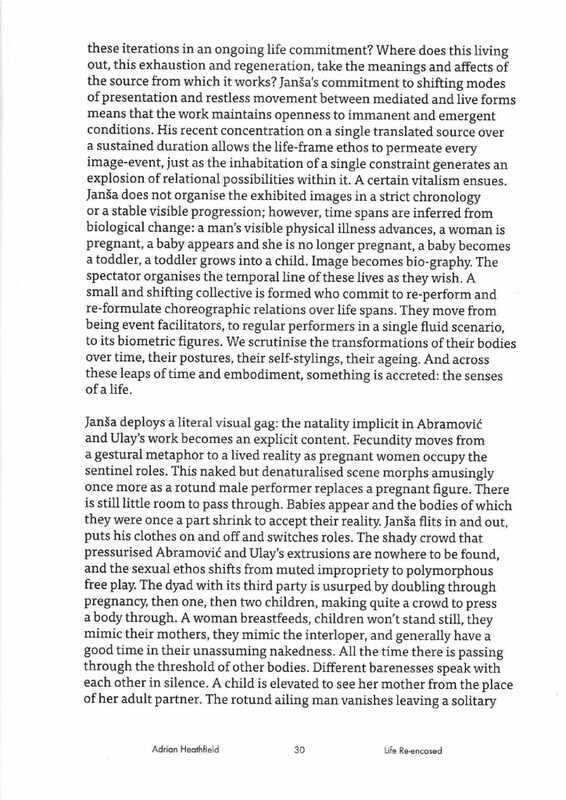 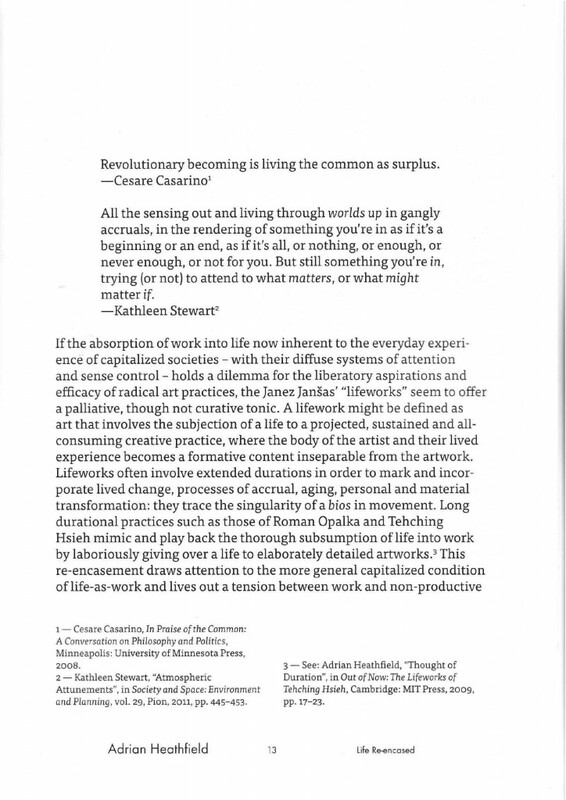 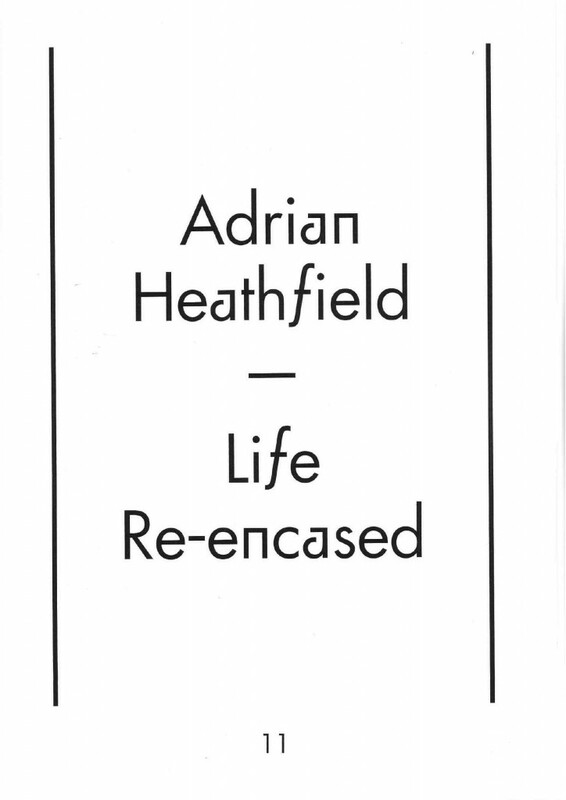 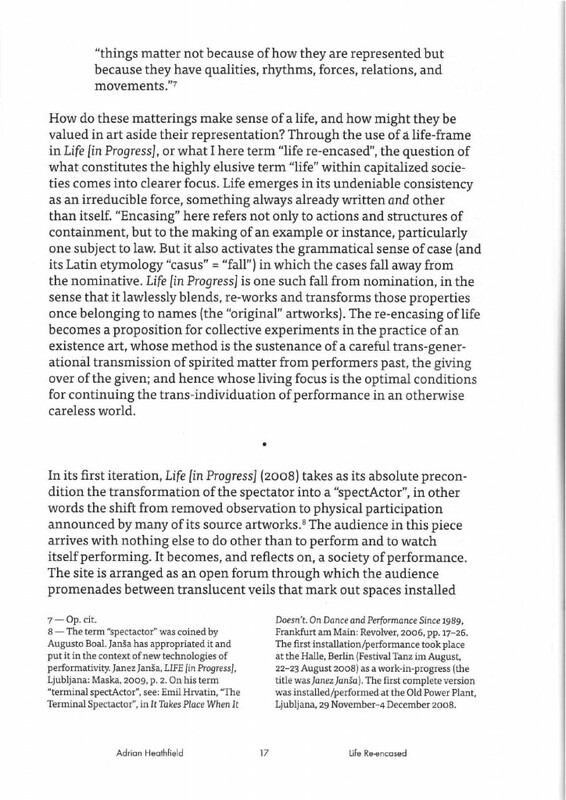 Life Re-encased was published in Janez Janša: Life II [in Progress], ed. 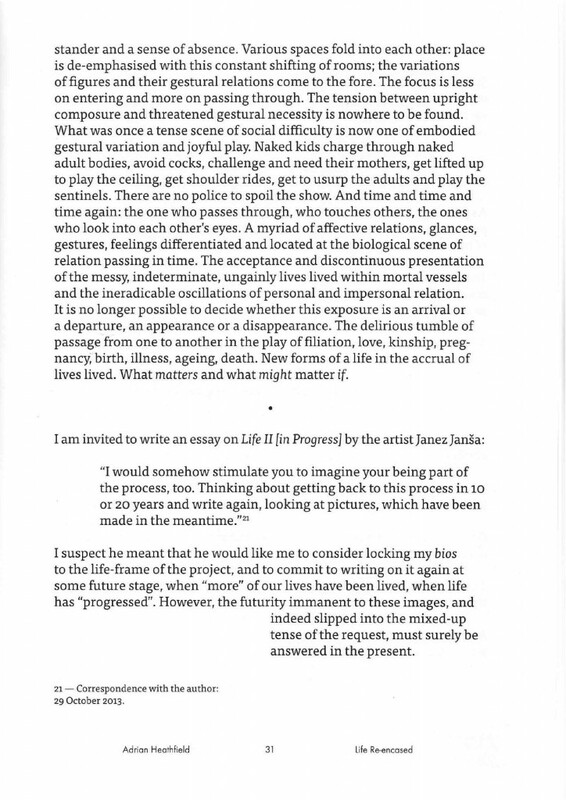 Janez Janša, Maska and Live Art Development Agency, Ljubljana and London, 2014.